The white iPhone 4 (s aapl), which has remained out of reach to the buying public for so long, might finally be on the verge of becoming a reality. It’s showing up in mobile provider systems all over the place, from AT&T (s t) in the U.S., to Orange and Three in the U.K., suggesting a release may be imminent. AT&T isn’t yet advertising the white iPhone for sale on its storefront website, but it is listing the models in its Online Account Management system (via BGR). Both 16 GB and 32 GB models appear to be in the pipeline, although no clue is given as to when they might become available. 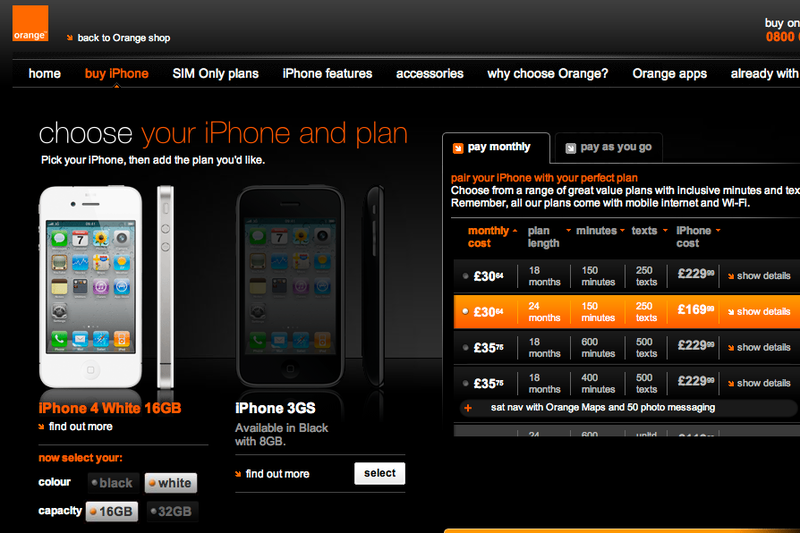 Orange U.K. and Three aren’t just prepping for the device’s arrival in account management backchannels; both carriers have posted the white iPhone 4 as a configurable option on their respective iPhone ordering pages, though the models aren’t yet available for online purchase. 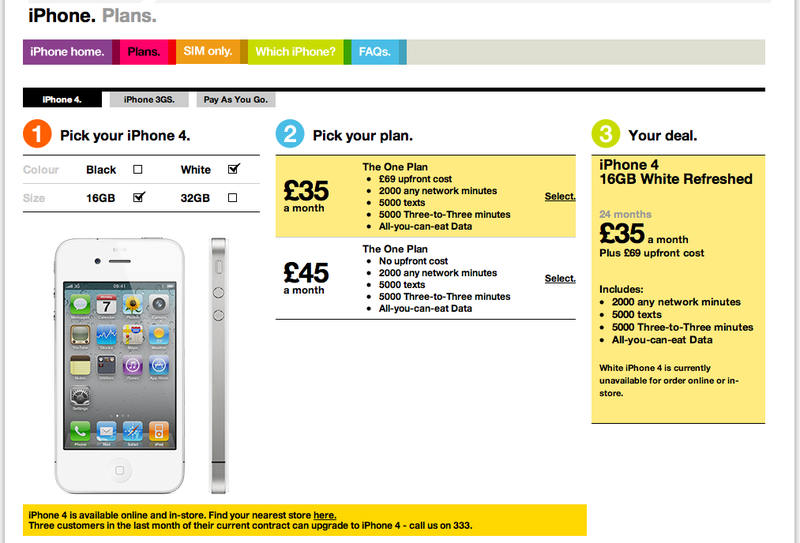 That the UK operators feel comfortable advertising the white iPhone as an option to potential customers suggests that a release might be much closer than many suspected, possibly even on track for a February or March release. That release window is also backed up by the recent discovery of white iPhone models showing up in a Best Buy inventory database (s bby), along with expected in-stock dates of Feb. 27. Apple originally planned to release the white iPhone 4 alongside the black one, but reportedly ran into problems with production of the units. The company announced later that it wouldn’t be available until spring of 2011, prompting me to wonder whether it might be positioned as an upgrade incentive. It’s looking now more like Apple is trying to use the white iPhone 4 to prevent sales of the smartphone from hitting a slump prior to the announcement of the next generation iPhone. Apple has observed a rigid one-year hardware upgrade cycle with the iPhone since its introduction, which has the disadvantage of discouraging consumers to commit to a purchase when the end of the cycle nears. The availability of a white iPhone, and of a Verizon-compatible model, may have been timed intentionally to counter that effect. This is the best news I have heard all year. I cannot wait to get a couple of these bunnies. It would totally rock my world if my iPad 2 came in eye-popping mind-blowing white.